The result of the February 2016 Board Examination for Geologists has been officially released by the Professional Regulation Commission (PRC) and the Board of Geology. Congratulations to everyone who has passed the examination. The members of the Board of Geology who gave the licensure examination are Rolando E. Peña, Chairman; Elmer B. Billedo and Francisco A. Navarro, Members. Peña and Billedo have sworn into their office on January 17. 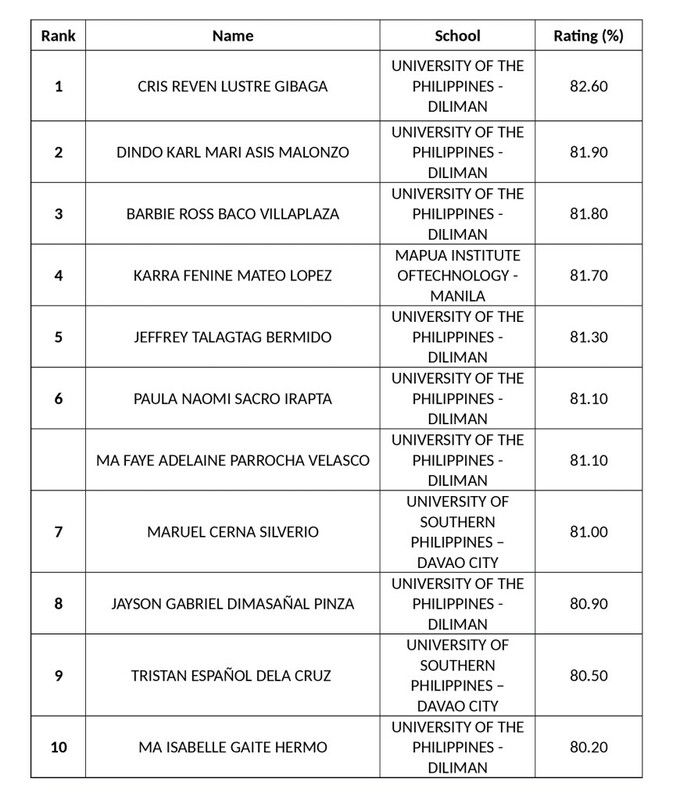 Roll of Successful Examinees in the GEOLOGISTS LICENSURE EXAMINATION Held on FEBRUARY 22, 23, & 24, 2016 Released on FEBRUARY 29, 2016.